Japanese games giant Nintendo has posted a return to profit for the second quarter of the year despite being unable to reverse declining across the board sales. Nintendo, which is battling hard against larger rivals Microsoft and Sony, benefited from a weaker yen and more favourable trading conditions in the three months to the end of June, the company said in a statement. Nintendo reported a net profit of $88 million, a significant gain on the $17.2 billion loss it recorded for the same quarter last year. The company’s loss in 2012, it said, was also significantly influenced by currency valuation fluctuations, with the yen much stronger at this time last year. Sales, the company said, suffered as more consumers turn to cheaper games options, including mobile gaming. Nintendo managed to generate sales of $832 million over the period, a fall of nearly 4% on the same time last year. The company said it hopes the release of a number of new titles including The Legend of Zelda: The Wind Waker HD and Donkey Kong Country: Tropical Freeze will help to revive sales ahead of the holiday season. Tough economic conditions in Europe and the United States – two of its largest markets – remains one of the company’s largest concerns, it said in its statement, along with the competition posed by smartphone app manufacturers, whose products are continuing to erode console makers’ profits. To counter the appeal of cheap, or sometimes free, app offerings, Nintendo has released two new high-tech games machines – the 3DS and Wii U. Despite lower-than-expected initial sales figures for the 3DS, the world’s first gaming device with a 3D screen, and the Wii U, the successor to the popular Wii console, the company says it is still confident the devices can appeal to the mass market. The company said that it sold 1.4 million 3DS units in the quarter, way below expectations. 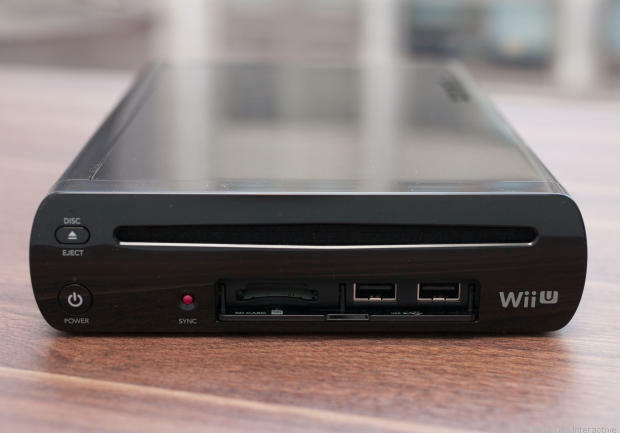 Nintendo says that it will be concentrating on promoting the Wii U through the next few quarters. “For the Wii U system we will attempt to concentrate on proactively releasing key titles from the second half of the year through next year to regain momentum for the platform,” Nintendo explained in its statement. The comments came after the company posted disappointing console sales figures for the Wii U, revealing that it shifted just 160,000 units between April and June, a drop of 50% on the first quarter of the year. The company blames a series of delays in the console’s release for its slow start. It chose not to alter its prediction of sales of up to nine million units by March next year. The company refused to be drawn to calls for it to enter the apps market, saying that its consoles aren’t phones, and are part of an altogether different gaming category. It did however take the opportunity to reveal the release of a new black version of the 3DS, which the company says will be available to buy from August 11.